Do ADT Monitored Security Systems Require a Phone Line? There are ADT Monitored Home Security Systems that use a GSM Cellular Alarm Communicator and do not require you to have a landline phone. In the California residential security industry, many new homeowners are deciding to not have a phone line installed in their home and many existing homeowners are discontinuing their current phone service. By just using their mobile phones, customers can eliminate their home phone service and save some money. Customers are asking us if ADT has Monitored Security Systems and Monitoring Services that do not require the use of a phone. ADT does have a couple of options. The first option is to get an ADT Monitored Security System with a wireless GSM Cellular Alarm Communicator. This allows the security system to communicate to the ADT Central Station wirelessly with cellular technology and does not need a phone line. 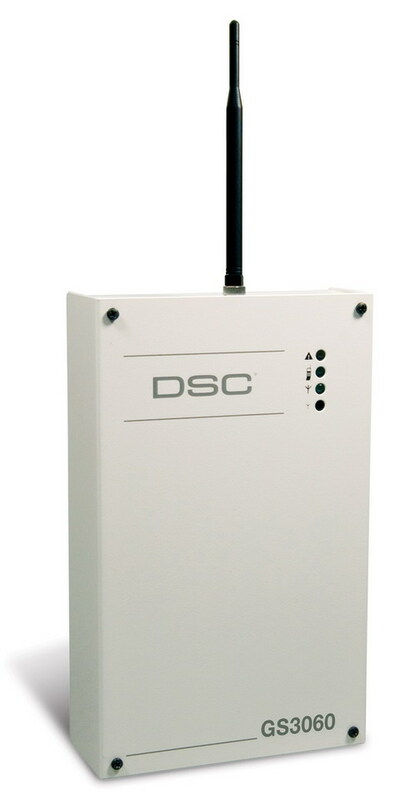 Some systems like the DSC Impassa 9057 have a built in cellular communicator. The second solution is to have the new ADT Pulse Monitored Security System installed. ADT Pulse does not use a phone line to communicate to ADT’s Central Station. It uses cellular to communicate, has the ability to be armed and disarmed with mobile devices (iPhone, Android, Blackberry, etc) and controlled via the web from anywhere in the world. ADT Pulse can also send notifications of alarm events via text and email alerts. First, it provides you with phone line cut protection. Traditional home security systems use a phone line to communicate to the Central Station. When a burglar cuts the phone line the security system is not able to send any alarm signals to the central station. Most homes have easy access to the phone lines on the side of the home where the service lines enter the home. It’s just too easy for your home security system to be compromised and disabled by a burglar. Since an ADT Monitored Home Security System with cellular communication does not rely on the phone line to communicate alarm signals, it provides much better protection and peace of mind for your home and family. Second, cellular communication sends a much faster signal to the Central Station. Traditional dial up security systems that use a phone line to communicate can take up to 4 times longer to get an alarm signal sent to Central Station. On average, it takes a security system using a phone line 26 seconds to dial up and connect with a central station. With cellular communication, it is normally a quick 6 seconds to make a connection with the ADT Central Station. In emergency events like burglaries, medical emergencies and fires seconds save lives. The third advantage is that you can change your phone service provider at any time without the need to schedule a service call for your home security system. In fact, you may decide to eliminate your phone service in the future and would need cellular communication for your ADT Monitored Security System anyways. It’s more cost effective to install a security system with cellular communication to begin with than upgrade in the future. It’s great to have the flexibility to make changes to your home phone service without the need to schedule a service call for your security system. For more information about ADT Monitored Home Security Systems that use GSM Alarm Cellular communication call 1-800-310-9490. Schedule a free home security evalution or if you would like to order an ADT Monitored Home Security System with cellular communication please call us at 1-800-310-9490.